Don't use open-cell spray foam in cold climates (IECC climate zones 5 and higher) without a vapor retarder. Monitor the attic's relative humidity and temperature. Low-cost thermo-hygrometers with remote sensors are widely available. You could also put an alarm on it, as Skye Dunning describes in the comments below. Condition the air in the attic. Lstiburek says to do it for every spray-foam attic. Others, like David Butler (see his comment below) say you need to do it only if a moisture problem develops. Does Your Spray Foam Insulation Need a Thermal or Ignition Barrier? Our company has installed thousands of unvented roof assemblies with open cell foam with no issues. We are in the greater San Francisco Bay Area and have been doing this for about 15 years. There are many micro climates here. Sounds like the model needs adjustment for our area. Now I have to do even more explaining to undo what people will read. Great job as usual Allison. The solution referred to above is a device that is required in the Mechanical Code for commercial buildings. It's a smoke detector mounted in the return duct which has both an audible alarm and a switch to turn off the HVAC system if smoke is detected. Very simple, affordable at around $110, and easy to install. Many light commercial projects are Type V-B (wood frame) construction and these smoke detectors have been successfully used for years in buildings often very similar to houses. I believe a reasonable building official will see the wisdom in following this practice even though it's not in the residential code.....yet. The reality is we've been conditioning attics since we first started installing HVAC systems up there. 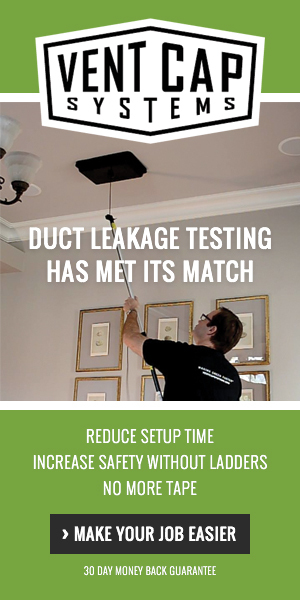 Ducts leak, so the air leaking out of the supply ducts or into the return air duct is exchanging attic or outside air with the air in the house. If the attic is vented, the leaking air drifts off into the atmosphere and if it's an unvented attic, the leaking air conditions that space. This is unintentional conditioning of the attic, and ironically the worse the ducts are sealed the better job of conditioning the attic the leaky duct system will do. No, I'm not saying don't use mastic to seal our ducts properly! In my opinion, every duct joint, whether it's in the conditioned enclosure or not should be sealed with mastic. Certainly the better approach is to intentionally condition the attic with a small supply grill and return register and if done correctly, the air in the attic should always be within a couple of degrees and a couple of %RH of the house below. I too have heard the banter about roof failures caused by open-cell foam but in my dozen-plus years in the spray foam business I've seen exactly zero failures like the ones mentioned in the Miller article. I travel all over the country and talk to hundreds of contractors and homeowners annually and I have yet to see the catastrophe they warn of. I have low density foam in my own attics on three buildings in Zone 4C. I've been monitoring temperature and humidity at the roofdeck for five years now and it cycles perfectly, getting higher in the late winter and drying like a bone in the summer, just like the OSB in my uninsulated garage with a vented attic in Portland, Oregon. By the way I have seen numerous failures of fibrous insulation as it's often a building material or system failure that prompts the homeowner to ask for spray foam. Hey Allison, thanks for tackling this topic. I, too, thought Martin's article was rather alarmist. And you're right... some of the comments further muddied the water. But I was nodding my head when I read Semmelhack's comment. His observation (wouldn't vapor drive from above be even worse with closed cell?) was exactly the point I was going to make. Saved me the trouble. On the other hand, direct conditioning shouldn't be necessary if the foam crew did its job and house moisture loads are properly dispensed with. Anyone who builds a home with foam and doesn't do a blower door test and commission ventilation performance should have their head examined. I advise clients to leave the ceiling uninsulated and unsealed to ensure good heat transfer from conditioned space below. Except for this: leakage pathways between high moisture areas should be sealed. End of story. I also advise clients to keep an eye on attic RH as a defensive measure. I even provide links to several inexpensive desktop monitoring stations that come with remote temp/RH sensors. If RH gets too high, find out why. Don't just waste conditioned air at the problem. Hi Allison, thanks for including the "pushed up by the more dense air" disclaimer. I will quibble about "Watch the Steam" ... Isn't water vapor Invisible? Thank you Allison, for another good article. We started recommending and seeing sealed attics in our projects about 8 yrs. ago and found pretty quickly, with both open and closed cell foams, that the humidity levels were unacceptably high in the summer months (hot-mixed/humid climate in coastal NC). It is a space that is not frequently accessed by the home owner. If there is a problem up (or down) there, it is not likely to be noticed from inside the house until it's too late. If it's not done right, you can create a situation much worse than if you had left the space vented. And - surprise! - it's not done right much of the time, with the seal around the perimeter of the attic not being truly sealed. This is especially a problem with retrofits where the soffit is left open. The soffit acts as a giant air scoop, feeding pressurized air through the smallest gaps between the foam and the top plate. For these reasons you need a humidity monitoring system with an alarm to let you know when humidity levels rise above a desired level - BEFORE there is a resulting problem. We started requiring that these systems be installed in all of our projects as soon as we realized this similarity to sealed crawls. We wouldn't think of sealing a crawl without watching the humidity levels, why would we seal an attic up and assume everything would be fine? Of course, shortly after that we realized that we were getting uncomfortably high humidity levels (not uncommon to the the attics run in the 80's) even when the seal between the attic and outside was very effective. So we started requiring some sort of humidity control. As you point out, you can't install a supply and return. That turns the attic into a plenum which is an issue with the fire code, but there is no problem with putting a supply up there (that we know of). As with a sealed crawl, we supply air at roughly 1 cfm/30 sq.ft. and that typically results in humidity levels staying in the 60's, with spikes into the low 70's. This is the same spec that's in the NC code for crawlspaces and the code inspectors have never had any problems with it. After working with an architect recently on a new house with a failing sealed attic, she contacted the NC code committee about the issue and I gave them a recommendation that the same language that's there for sealed crawls be used in the next code iteration. It's the same situation in a very similar part of the building assembly which should have been obvious without having to create a bunch of failing houses to identify. James M.: Yep. And you're not alone. The great majority of homes insulated with open-cell spray foam are just fine. Mac S.: Thanks for spelling out the smoke detector in the duct solution. David B.: Yeah, since so many spray-foam attics without direct conditioning have been fine, it's probably overkill to suggest doing it for all of them, but I don't think the extra energy use will be much. John B.: I was wondering if I'd hear from you today. And yes, water vapor is invisible. But steam, being made up of lots of tiny droplets of liquid water, is not. Skye D.: Sounds like you've found a good solution that works in your area. And yes, it's always a good idea to monitor the conditions up there so you know a problem is coming before it goes critical. Good article Allison. Any recommendations on thermo-hygrometers? I have tried all types of wireless devices as well as dataloggers and have not found any that I have been happy with. Thanks for writing this, you summarized a lot of the concerns I raised to myself when I was reading Holladay's article. I generally greatly appreciate the treatment of studies over there at Green Building Adviser, but I was skeptical that the conclusion "open cell foam is more risky than closed cell in all climates" could be drawn based on one field study and some modeling studies. Especially considering that same publication has also posted articles about the pitfalls of relying too much on modeling! In that particular case I think the opinion got a little ahead of the scientific analysis, and unfortunately my customers are finding that article and translating even the cautious statement "open cell foam seems to be more risky than closed cell foam in all climates" into "open cell foam is bad!" in their own minds. Thanks for writing a perspective on this that expresses the nuance more clearly. The building industry has another problem on their hands with open cell foam foam. Homes that do not use a HVAC blower system, dehumidifier or air conditioner. This is common in New England especially in retrofit applications. Many SPFI companies do not advise the customer properly or warn them of known consequences. Homeowners and small builders better wake up and learn fast before they experience what this guy below came home to. I recently had an opportunity to visit a home where moisture and mold was everywhere. A good friend of mine just returned from his 6 month hide away in India only to arrive home to mold everywhere. The entire home has open cell foam and there's no attic with a complete vapor barrier. The home builder used 1/2" polyisocyanurate as an interior vapor barrier under 1/2" drywall. Exterior has a 1/2" thick drainage board and building paper against the sheathing where the thinstone veneer is attached to this specialized system designed for stone. The entire perimeter of the home contains drainage to capture any condensation which may develop at the drainage board. The home is @ 1500 sq ft heated with a small ventless cast iron gas fireplace unit located in the finished basement. While away, the home was maintained at a constant 55 to 60 degree F.
There are several skylights, around every skylight and every window there is mold! Cut open the walls...There's mold and moisture! To make matter's worse you had to know where to look for it because this guy collects antique furniture and loves his new home to look and feel old. After several emergency room visit's over the past 4 years, heart failing and lung function depletion I found the source on visit 3 all while no doctor could help him or diagnose the symptoms correctly! 1.) He was in the home when the foam was installed. Not one home but 3 homes of the many he owns!!! 2.) The home did not have an air exchanger or any air moving system for this matter. 3.) The gas heater was the sole source of the water vapor. 4.) The interior vapor barrier seams were not taped. Any further advice would be greatly appreciated to share with this sick man? I won't disagree with your comments but this how I look at this open vs closed and spraying the roof line. I know that open is less expensive but I also know that the roof line on any pitched roof is greater then the footprint of the house and with todays roof designs they are much greater. So heres my explanation to my clients. Hold your arms bent at the elbow up with hands touching forming a the look of a roof. Now take your left hand and rotated to your right elbow, take your right hand and rotated toward your left elbow. Do you see the overlap thats how much extra foam you are using. I close cell spray my ceiling instead and put the lid on the jar where it belongs. Plus if the roof line is now part of the envelope does that not affect the size of your HVAC equipment because you're adding considerable volume as part of the system? I seek some expert help. 1) Install a 12 mil vapor barrier on the crawl space floor & run it up the exterior walls to about 2-in. from the top edge of the block. 2) Spray 3-in. of closed cell foam on the entire perimeter wall of the crawl space and also on the rim joist to get a tight seal. Will the foam adhere well enough to the flexible 12 mil vapor barrier to remain intact for years to come, or should the vapor barrier run up the wall only about 8 to 12 inches, the thought being that the foam will more strongly adhere to the foundation block? Article and discussion are very enlightening. SPF is a great product if properly designed and installed and vented before occupied. When encapsulating attics and crawl spaces they need to be vented or degassed. A friend who sold the product had his attic sealed and it turned his daughter's white provential furniture yellow. He asked whether it would affect his daughter's health. I told him I did know. It would be beneficial if cost effective products based on experience were shared such as the humidity monitors, make and model. The attic can also be separated from fire and smoke by duct fire dampers. Lou, you asked about using closed cell spray polyurethane foam (ccSPF) on the foundation wall. ccSPF sticks to almost everything tenaciously, but really doesn't like sheet polyethylene. It's the material we use to mask things we don't want the foam on. I'm a fan of bringing the vapor barrier sheet up the wall about 12" or so and use mastic to adhere it to the block. If the mastic will adhere well to the sheet, you might try using it on the interior (crawlspace side) of the sheet as well to give the sheet some "tooth" for the ccSPF to adhere to. Experiment with this before you rely on it for a seal. I love mock-ups. We learn so much when we actually do stuff and test/measure it. Overlap the foam onto the sheet plastic and you should get a good seal. Be sure to accommodate for liquid water under the sheet if the crawlspace is ever wet, and don't forget to complete the rest of the code requirements dictated in section 408.3 of the IRC. One last thing. I like the even heavier plastic sheet. There are companies using a fiber reinforced 20 mil sheet that seems more durable and a better long term solution than 12 mil. First thing Lou should do is determine the level of ground source moisture. High water tables produce high moisture diffusion from ground source. Place a small piece of plastic on the ground see how much ground vapor is present over time. Radon is a ground gas, check for it and make sure the crawl space is well vented, flashed and deflected to repel water. If the area soil has high clay content of Bentonite or Kaolinites they have an excellent relationship with water due to their cationic charge, nature makes it highly hydrophilic due to the fact it bonds electromagnetically with the polar water molecules quite readily. Coupling this with clays high surface area, its molecular form is platelike. It attracts and holds and releases large amounts of water without deformation by pest and last forever. Inexpensive resilient natural solution in area such as crawl spaces. Ball clays are another choice if the other two are not available. Most construction petroleum based grade foams are carcinogenic, neurotoxic, hormone-disruptive chemicals...find way into ecology through water, land, air pollution. Popular are vinyl chloride, doxins in PVC, benzine in polystyrene, phthalates and other plasticizers in PVC, etc...formaldehyde and other besphenol-A (BPA) in polycarbonate. All Persistent Organic Chemicals. Occupation cutting, in place curing that create off gasses are of great concern. Halogenated Flame Retardants (HFRs) - Chlorine and bromine fire retardants(C or BFRs) base produce dioxins, are highly carcinogenic human health hazards when exposed to fire. They are also created in the formulation of PVC and found as chlorinated or brominated fire retardants or (BFRs) to a host of products. There is no required labeling or legislation for quantity of HFRs. These foam additives are fungi food and will grow under the materials rated moisture content (MC) and relative humidity. These microscopic particles can become airborne and cause Indoor Air Quality (IAQ) health issues noted above. The last thing you want to do is vent these particles from and attic (by duct return) or crawl space through a unsealed floor to living space. Foams are also very flammable once code-mandated fire barriers have been compromised. Bioplastics developing (better choice) non-petroleum based. Vegetable and soy based instead of pthalates and plasticizers. Polyvinylidene fluoride (PVDF) is fungi and fire resistant. Boron additive is concentrated on earth by the water-solubility of its more common naturally occurring compounds, the borate minerals. Borate a relatively non-toxic natural occurring mineral used for fire, pest, insect, and microbiological resistance (anti-fungi) used in the formation of cellulose is what gives it’s fire resistance, as opposed to halogenated fire retardants. Cellulose has little to no rating on smoke development rating index (SDI) (An ASTM rated test that values amount of smoke). FG=50, spray foams = 300-450. Mineral wool or board is a good choice for floor installation, baffled by a polyethylene plastic sheet air barrier since it less toxic. I agree with Charles about "Best Practice" and Vented attics. Sounds to me like "work-arounds" for a bad concept. You forgot to mention that bulk water will drain by gravity through open cell foam. If vapor drive is causing condensation on the underside of sheating, how does that fact fit in to their anaysis that open cell foam promotes and or is causing rot. Also, in retro fit projects, inorder to keep the attic temperature within 5 - 10 degrees of the lower level conditioned spaces we reccomend removing the attic flat area insulation whenever possible. As an Icynene authorized sprayer we do 100's of these conditioned attics in our climate zone 4. Failures are usually due to installer issues or not putting enough thickness of foam tokeep the sheating below the dew point. Thanks for putting this together. It pretty much summarizes what I ended up telling a bunch of panicked people who read the GBA article. I've been "fixing" humid sealed attics for years by having people cut a supply in. If you think about it, it's odd that the code requires supply air in sealed crawlspaces (or another method of dehumidification) and prohibits it in attics. I think it's really important to stress that how this all plays out is very climate specific. So what someone thinks they know in their climats may not be the experience of others in other climates. Specifically, I take some issue with the idea that ventilation is the source or solution to the problem. A ventilation system is not a dehumidifier. In some homes and in some climates, it's going to be enough to nudge the humidity level down, but it's not going to work for everyone. And humidity control is not why we install ventilation. When I've seen this problem at its worst is when a home completes construction in July. The builder closes up a house full of humid air, fires up the AC, and the rest of the house gets cool while the ducts in the attic sweat. If you can leave the attic hatch open until you get started up, it helps and some homes will function OK after that. But it's a lot safer to put some supply air up there. When people get concerned about the additional load, I encourage them to look at it this way. 1) once the heat (or heat loss) has made it through the thermal envelope, you're probably going to have to deal with it anyway - creating these "buffer" spaces that are inside your envelope rarely works out to be a big energy saver (for a new efficient home), and opens you up to humidity problems. 2) the thermal load is proportional to surface area, not volume (except for at startup). Unless you have a pretty steep roof slope, foam doesn't add that much area (especially if you account for kneewall area if you have vaults). So most of the time you really don't have to worry about the volume. Allison, Great article! You did a good job explaining the issues I've dealt with over the past 12 years explaining it to customers. After Martin's article was published, I even got a couple of follow up emails from some architects homes I insulated with Open Cell and I had to explain how their system was adequate yet again! The real cause of the problem is the moisture coming into the home from crawlspaces, basement floors, basement walls, and not vented bathrooms or kitchens. Sometimes, the number of people is excessive compared to the building size and that just creates more perspiration and respiration that needs to be dealt with. But in general, when you control the moisture coming into the building, you don't have these problems. I've insulated many, many homes with open cell insulation over the past 11 years and I have yet to see one which was wet, damp or damaged due to the open cell insulation and this is in Upstate NY! I too have asked for examples of the rotted roof situation and asked for some of the details, but everyone I talked with said it wasn't them personally and that makes it hearsay! I too have it in my house and haven't had any issues! This moisture issue is also what can cause the off gassing as it continues react and causes unhealthy homes as some people state. @Amy, metal supply ducts and fittings (in an encapsulated attic) *must* be insulated in most of the country to avoid sweating, even if the inspector doesn't require it. Under normal operating conditions,the supply air is often below the dew point. Excellent article, I read it twice and most of the links as well. What about using a separate dehumidifier in the attic space? I'm in Zone 4 by the map but in reality more of a 3A. This is what my thoughts were for a special project, before I read this article. @Bob, that would be an expensive band aid. Better to diagnose and fix the problem. Your wallet will thank you. I'm not looking for a band aid. I'm concerned about the need for dehumidification when the cooling demand isn't there. It can be a stand alone for the attic area or if the HVAC system is used for attic area combined with the whole house dehumid system tied in with the central HVAC system. What would you advise when a HVAC system does not exist? So far I found two culprits of high humidity generators in a home thinking outside the box. One = ERV / HRV used during humid month's and Two = Ventless Gas Heaters / Fireplaces. How would you control the unwanted humidity without shutting down the air dilution process in a air tight home? @Bob, I also consider whole house dehumidifers to be band aids in many cases. They're either installed unnecessarily or compensating for envelope or mechanical defects. I know of some companies that sell dehumidifiers on every job as a matter of course. I would have to look at the specifics for your project but in most climates, with house and attic properly sealed, house properly vented and AC properly designed, there shouldn't be any need for a dehumidifier. The comfort range defined by ASHRAE is up to 60% RH and buildings can easily tolerate temporary excursions into the high 60's. One product that I've used is a Heat Pump Water Heater. This will dehumidify the air while producing much needed hot water. There are stand alone units that don't have the tank attached which can be placed in the attic minimizing the load but then capturing the heat and moisture our of the air. As we all know warm moist air rises and that's the best place to put one of these. The only downfall is getting up in the attic to change the filter and/or plumbing the hot water or ducting the air down to the basement or first floor. This is a great way to add an energy efficient appliance that helps with indoor air quality and no exhaust fumes! I'm trying to get a handle on in one way it is said to tie the attic in with the central system but on the other it is said the the central dehumidifier is a band-aid. The home @2500 sq ft, boat load of glass, surrounded by water, bay and the ocean within 1 mi. 6.5" SIP walls, and required ERV. There are many times where the demand for the A/C isn't there in the fall and spring, even with a modulating system and zoning. So far minimal exterior air intrusions and defects, other than the foam folks tramping on metal ducts. J8 heat load is low, just over 2-tons. heat loss load a bit higher than cooling. I appreciate the comments and value the information here. I want to make this as right as it can be but if there are problems the 1st person to be targeted will be me. This is a very climate-specific issue. The people saying these controls are band-aids outright are in climates where these attics are fine if they are sealed properly. Monitor the attic. Our favorite systems are from Acu-Rite. They are inexpensive and web-enabled. Just be aware that the 330 ft. signal reach is a fantasy. I would also add a 6" collar with adjustable damper & set for approximately 1 cfm/30ft. of attic "floor". So you're talking roughly 60-70 cfm. If that doesn't keep the RH levels under 75% you can add a dehumidifier. The dehum. is a second choice because it's another system you need to maintain, has condensate you need to deal with, uses more energy, and costs more to buy and install. The location doesn't really matter if the attic is sealed up! It's more the water inputs of the home that need to be managed. If you have a river running through your basement from one side to the other, it doesn't matter where you live, you're going to have moisture problems. So, you need to control the moisture at the source and then you don't have to worry about it. We've also used a waterproofer for concrete which is one of the best on the market and can penetrate 10" into the concrete or block and seals out the moisture on the outside! It's transported into the concrete or block with moisture and is considered for potable applications. I disagree Jim. You can't discount the change in vapor diffusion from a climate with 40+" of rainfall, high temperatures, and high humidity levels to a dry climate. Also, no sealed attics are truly sealed. This is clear any time you poke your head in an attic access with a blower door running. This is especially notable in coastal houses with the high rainfall, temps, humidity, and consistent winds. Obviously internal loads need to be managed as well, but even this is climate-specific to some degree. 75 degrees and 55% RH is common in our houses in NC, where David's houses in AZ will be 30% or less. Just a general thought on this whole discussion: The idea that you can install one high performance system, such as an unvented roof assembly (with or without spray foam), without addressing other parts of the house is analogous to tossing a turbo charger on a stock Toyota Corolla and then wondering why there are problems. If you build one area of the home as higher performance then you better look at the rest of the system! BTW, its nice to see the discussion moving past the negativity and focusing on solutions for building with a very useful and successful product and design. Bob wrote: "in one way it is said to tie the attic in with the central system but on the other it is said the the central dehumidifier is a band-aid"
Nothing inconsistent about that. The AC, if properly designed, should be able to take care of latent load in most climates. Granted, there will occasionally be times in spring and fall when it drizzles for a week with little or no cooling load. But if envelope is tight and internal moisture loads are managed, that shouldn't be a problem. Temporary excursions above 60% RH aren't an issue. As a defensive measure, provide a supply to the attic. I agree with Sky regarding monitoring. I advise my clients to keep an eye on RH in an encapsulated attic (or crawl). In most cases, they can leave that supply vent closed. BTW, beware of relying on ERV as the primary exhaust for shower areas. It will recycle a high percentage of that moisture. By the Building Science Climate map, it is mixed humid. I said 3A above. The system is designed properly, had submit all design for approval by architect, (it was over sized 1st time, for sure, but that was the only way to finally get the full and proper spec's for the project in order to do a proper J8). Another thing we were considering was a separate zone control, same as the rest of the home with all functions and monitoring control from the main panel as well as remotely by homeowner and me. Problem is the percentage of system capacity that needs to run with a single zone demand. We have many customers in this area with 2nd homes that are used a fraction of the year. Trying to make them understand that turning the A/C system off when they leave shouldn't be an option. Some of these homes we have used central dehumidifiers with success. @Bob, you don't want to run AC just for attic calls, and in any case, you'd want to control attic supply based on RH, not temp. The way to do that would be to have a humidistat control a motorized damper for the attic supply. If the system is running, it will allow or block air to the attic based on RH. But I think that would be overkill unless a problem with RH has been documented and all contributing factors have been considered. The controls we use do temp and humidity. Temp can be set high with the dehumidifying call turning on the a/c up to 3 degrees below temp set point. It may be lower with this newer model, I'd have to check. Again, it is a modulating/inverter system and I should have said percentage of system airflow capacity, apologies. Regarding open-cell foam under a roof deck, how about under a floor. A double wide mobile home on blocks with a crawl space and dirt floor. The under-belly paper and insulation was destroyed in large areas. With the heat/ac rigid metal duct work exposed I had a company finish taking out all the batt insulation and belly paper and cover the under floor and all the duct work with open cell foam. Seemed like a good idea at the time. I know the spray job was not uniform, as my thermal camera took pictures of the temp differences. I have a bad feeling about my floors now, after reading the moisture problems in roof decks. The underpinning is not air tight which is good and bad. The ground is dry but moist air, warm and cold does come through. The bedrooms are carpet over osb. Living, kitchen, laundry area are hardwood over under armour waterproof membrane over osb. So far no problems, but......? Any suggestions to head off problems. DFW area. This is not the proper use for open cell foam. Open cell must be covered by a vapor barrier per manufacturer specification and some state codes require some form of fire protective barrier. Closed cell is appropriate for this scenario. Open cell needs a class II vapor Retarder (old term “barrier”) only in certain climates, not all. When an area is accessible for maintenance or repair then any foam must have an Ignition Barrier over the foam or an equivalent material such as properly tested and listed intumescent coating matched to the type and brand of foam, or it must be rated on its own without any covering. If the area is occupied, such as when used for storage, then a Thermal Barrier is required. Our climate does not require a vapor retarder of any kind. We always install intumescent coatings when required even if the building departments are not enforcing such standards. But when in a crawl space that is too wet we do not recommend using spray foam to solve the problem. In these cases we suggest the owner hire a professional crawl space moisture control contractor to install proper drainage, sump pumps, ground covers, etc. In crawl spaces that are wetter than most but still at acceptable levels, then we would recommend closed cell foam. In all cases the Ignition Barrier and Thermal Barrier requirements would apply. Who has miraculously made you an expert with how to use foam?? Who trained you? To correct your statement, they've taken the term vapor barrier out of the code completely, and now use only Class I, II, and III vapor retarders. These have different perm ratings and some of them are required in some applications. There are many open cell foams which can be used in this application as they will provide a Class III vapor retarder in over 2-3" thick which I would assume this is. The second point that you brought up is a fire protective barrier. I don't see that term anywhere in the codes and never have. I believe you mean either an ignition barrier or a thermal barrier? I don't believe the thermal barrier has any role in this situation as it's not left exposed to the inside of a structure. Some open cell foams don't require an ignition barrier either, so this depends on your manufacturer. We've used this regularly and found it to be better than closed cell because you can fill in some of the gaps under the trailer easier, than using closed cell. It also poses much less risk of causing a fire by using open cell because if you try to spray closed cell in this application, you will commonly get a couple of locations where you're over the 3" thickness which is the maximum thickness to be applied in one pass without the risk of causing excessive exothermal heat reaction and possibly starting a fire. Jim Coler this is not the place for personal attacks. I'm surprised Mr. Bailes allowed your comment. As for vapor barrier versus vapor retarder you are right and wrong. Code may say one thing while the chemical manufacturer may say another. Code usually defers to the manufacturers documentation when technicalities arise. State code officials usually adopt their own criteria in advance of Federal policy from time to time. The product you use to spray may have different criteria than brand B. Does anyone know if odor issues can be produced by humidity and temperature in an conditioned attic space? We are having odor issues with our icynene open cell insulation in the summer in Atlanta GA. I've just determined that on sunny days we have extremely high temperatures and humidity in the attic--90 degrees and 95% humidity. Trying to find a solution to both problems but mostly the horrible chemical smell on the second floor. Thank you for your thoughts. I had spray foam insulation installed into a 55 year old house 5 years ago. I live in the northeast. The foam was applied to the attic rafters and walls. I still notice a smell permeating the upstairs of the house on hot days which is concerning over 5 years. I also recently noticed that on one of the vertical walls (not the rafters), the foam is discolored in several areas. What could be causing the smell and discoloration? if I put sheet rock over the rafters, will this lessen the smell? Would anybody recommend installing an exhaust fan for use in the summer months? eric baron, Sheetrock will not lesson the smell. Installing a whole house dehumidifier (air-sponge 130 pint) may help lesson the odor. Allison can explain why a dehumidifier can help a home aside from a typical over sized HVAC (typically renovation work). He's the technical guru here. The color change can be related to UV exposure. If this is the case you need to cover up those area's where the UV/light source is coming in from. UV will degrade the foam to dust over time. Or, it could mean the product was not installed to manufacturer's published spec from the start. May I suggest you contact the chemical manufacturer to have them test the foam and also hire an environmental engineer to test your home's air quality. They will need the manufacturers contact information and the material safety data sheets to dissect your IAQ chemicals. I've been installing Open cell spray foam in attics for the past 10+ years and have seen this issue when they didn't address the moisture issue as we highly recommend. So, my question is,"Where is this moisture coming from?" It can be coming from the basement floor, basement walls, Crawlspace floor/walls, clothes drying in the house, an improperly draining dehumidifier or other sources of moisture. It can also be contributed to by improper drainage around the house with regards to the gutters and downspouts. This issue can be corrected by reducing the moisture level in the attic area. This can be done a number different ways, but some are much more efficient than others. Some of these solutions are: Dehumidifier, small bathroom exhaust fan in the attic drawing that heated humid air out and allowing the cool air to rise up the stair, a small duct in the attic and small cold air return which will include this space into the inside of the living space, heat pump water heater in the attic which is one of the most efficient ways of capturing the moisture out of the air and putting that heat to good use.. Please note: you must make sure that you meet the building codes with regard to 15 minute thermal barrier or ignition barrier if they apply. I would also try to reduce the moisture from coming into your structure by applying a special coating that penetrates 10" deep into the block and concrete and seals the moisture out at that point. This is not a surface coating like Drylock, but it's a different type of coating altogether. Other ways can include a vapor barrier across the crawlspace floor and up the crawlspace walls, spray foaming the crawlspace walls, Spray foaming the basement walls with closed cell foam, which will provide thermal protection and a moisture barrier. Hope this helps, and let us know which one or ones of these you tried and what your results are! My question is, how many people would have installed spray foam in their home if they knew in advance they would have to do all of this? Guessing very few. I know, I would never recommend it again after my experience and from the experiences of many other people I hear from regularly looking for answers. Just my opinion. Can you expand on your experiences yet? When do you have your court date scheduled? We try to let our customers know the right way to install it and other measures which help prevent this from occurring. Some just don't want to listen and choose not to take our advice. Jim Coler, You come across as though I'm the party being sued. Your seriously mistaken. Maybe you need to elaborate on your negative intentions and comments which lead readers to think the homeowner is the cause of their smelly foam? I can not speak about my legal case against the insulation company or the chemical giants who supplied them due to a gag order put in place by the Federal Court. See link below.. I have nothing to hide Mr. Coler. In my opinion, someone or some entity does. Hence the gag order. What I can do is share with you my public testimony before the Connecticut General Law Committee on spray foam legislation which I pursued. aka ... Connecticut HB 5908. Later in the session Governor Malloy Vetoed HB 5908 in error as pointed out by Representative Jutila in the newspaper. Gov. Malloy confused a previous Bill regarding UFFI as being connected with this Bill. Jim Coler, What have you done to better the spray foam industry aside from badgering innocent consumer's? I do know that I am the first consumer in the nation seeking way's to make it safer for all, including for installers. Do my motive's make you uneasy? Maybe this can explain your constant badgering on multiple forums. In my opinion, I think you do from past comments you made on LinkedIn regarding your past spray foam installation failures which you claimed were learning experiences. I wonder how those homeowners felt about your learning experiences. That's what 8 years of experience gives a consumer in upstate New York for their money. Why do you maintain and update a website for a defunct company which you stated on LinkedIn was sold in 2010 which your wife owned? You also said your a solar panel salesman. When did you start installing spray foam again? Is the state of New York aware of this? Technically you still need to file tax returns for the business listed on your website if your holding it out to be in operation as shown here in the below link....I know New York State's I.R.S is not to lenient on fake business entities. You're attacks are personal but you claim mine are. I only asked two questions which lead to this attack. I know I know I don't need to explain myself, but I feel I need to clear the air. I did sell my business and they're still working under the same name. That's part of what I sold them, the company name. So, I don't have control of the website or any influence in their business dealings. Through my 8-9 years I built a great business and still have customers calling me explaining how happy they are with the install and glad that I shared with them the truth and building science behind the system. As a result of that, I still have some customers calling me and asking me to schedule their next job. So, at this point, I turn it over to the new guys. So, you still didn't answer my questions: When can you talk about it? and When is the court date scheduled?